NVC brings together everything I've ever read – all the self-development courses and books – into a practical everyday tool. The difference it's made in my life and relationships is like a miracle. I now have greater confidence in expressing a viewpoint or delegating tasks. NVC is the missing link in my work as a counsellor and family therapist. I feel that I am more effective in dealing with situations of potential conflict. NVC has been so eye opening for me – a whole new way to look at everyday situations. I now have a better awareness of how to examine what the issues are, so that they can be resolved in a manner that respects all parties. 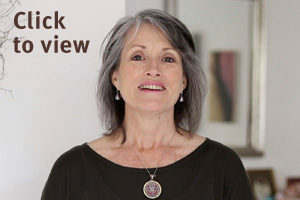 This training has finally connected my meditation practice with my everyday living, leading me to a practical way to use that power in my life. NVC is applicable across all levels of an organisation – an approach to thinking rather than just tools to wield. I feel that I now express myself more clearly as I take a more considered approach in decision making or issue identification. I have come away feeling inspired and hopeful about making the changes I long for. Nonviolent Communication (NVC) is a simple, effective and learnable four step process developed in 1964 by psychologist Marshall Rosenberg PhD (shown above). It has been used successfully around the world to resolve conflicts and to deepen connections in personal relationships, schools, hospitals, corporations and governments. It is an emotionally-intelligent, awareness-based communication approach. The heart of NVC is to identify universal human needs and what can be done to meet those needs. It is known to be effective even in situations of longstanding conflict or hostility. NVC can open new doors to compassionate connection and action. 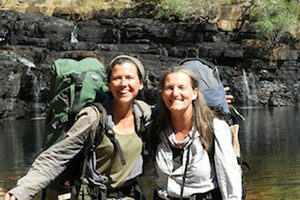 Come off track with Kate Raffin and Cassie Newnes for incredible adventures into pristine country. Two unique opportunities to deepen into NVC practices within natures classrooms. Prompt booking advised due to limited places and popular demand. You can develop your NVC skills and save when you book both the NVC Foundation training ‘Compassionate Communication For Healthy Relationships’ and the Foundation Follow Up ‘Applying the Skills and Avoiding Common Pitfalls’ together. Imagine a comprehensive program that supports you to dive deep into Living NVC through unique retreats and personal coaching! 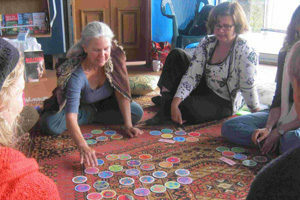 Retreats : Living in a community focused on mutuality, compassion and learning. Personal Coaching : Fortnightly sessions with a certified trainer inc. individual assignments and feedback.